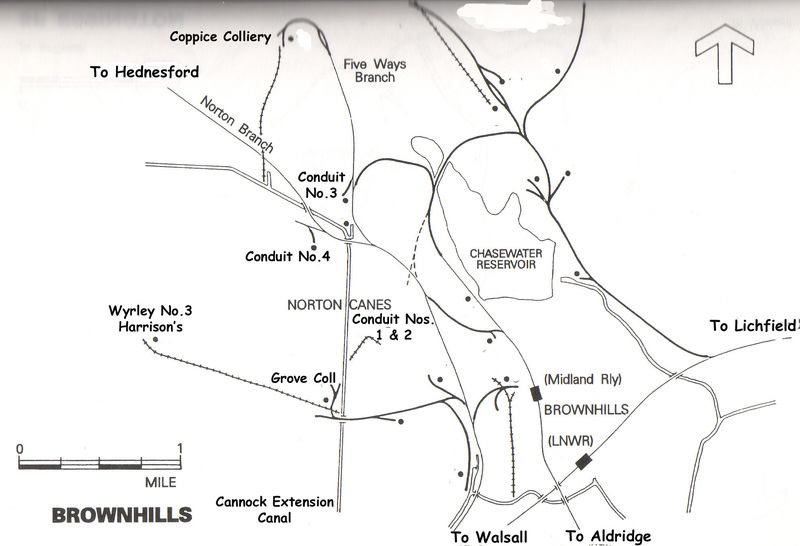 Formerly Conduit Colliery, Norton Canes – later acquired by Littleton Collieries Ltd., Huntington. Conduit No.1 0-6-0ST Manning Wardle 244/1867. Acquired new. Moved to Chasetown 1950, scrapped there 1952. Conduit No.2 0-6-0ST Manning Wardle 565/1876. Acquired new, sold to Ackton Hall Colliery Co., Yorkshire 1892. Conduit No.3 0-6-0ST Manning Wardle 1180/1890. Acquired new. Transferred to Littleton before 1910, to West Cannock in 1949 and Hednesford in 1954. Still there in 1957, since scrapped. Rebuilt by Manning Wardle 1920. Conduit No.4 0-6-0ST Manning Wardle 1326/1896 Acquired new. Transferred to Coppice Colliery October 1949, To Holly Bank May 1950, Coppice again around October 1950, then Chasetown August 1951. Still at Chasetown 1957, since scrapped. Aynho 0-6-0ST Manning Wardle 1722/1908. Bought from Walter Scott & Middleton (date unknown). Transferred to Walsall Wood Coll. 1950 then Chasetown 1951, still there in 1957, since scrapped. I spend my free time at the Middleton Railway in Leeds where I am a steam loco driver and also help run the photo archives. We are looking at expanding the collection to cover Leeds built locomotives in service around the country and abroad. This blog has some fascinating images and I wondered if we could discuss having a copy for our archive? Well if im really honest, im looking for images of any Leeds built locomotives. We are hoping to build the biggest archive of Leeds locomotives and are in discussion with several other museums and societys. If you want to email me, please feel free and I can tell you more.